I am re-reading a book (which I am known to do), A Little Piece of Sky, and I thought this was good and entertaining enough to share. And, who doesn’t love a list! Thing one. Know that even in a pile of mush, you can find a kernel of truth. So take that kernel and remember where you got it. Thing two ties in with thing one. ‘Everyone is someone’… so love yourself. Thing three. Always carry tissues and safety pins. Thing five. Always wear clean, neat underwear. Thing six. Cuss out one person everyday. Baby, it relieves stress. Thing eight. Take a deep breath everyday. You’ll feel better. Here’s a bonus. Don’t take any wooden nickels. I Always Feel Like Somebody’s Watchin Me! This age of information and technology is both a blessing and a curse. I just “Googled” myself as I do from time to time to see what’s out there. People, make sure you manage your information! People always tell me that I am paranoid…I would call it intelligent. I block my personal information as much as possible and encourage others to do the same. As a result of my Google, I found a search result that allowed people to sift through my personal information and, much scarier, locate me. Now, there wasn’t much available outside of the old and random press release for which I served as the contact but there were services that you could pay to dig up info. Information gleened from public records is big money these days. I clicked on one service where people could pay up to $59.95 for all sorts of details. There was even an asterisk that read: Ayoka Blandford will NOT be notified of this search. That- to me- is disgusting and made me feel unsafe. Hats off to the services that allow you to remove yourself from their sites. You may have to send them a liter of your blood to do so, but at least they offer the option. Most do not, and as a woman who has been the target of a stalker not once but twice in my 38 years, I take it personally. All of our information is readily accessible and nobody seems to have any accountability. Now that you’ve read this post, Goggle yourself and see what you find. This morning I was reflecting on the anniversary of Roe v. Wade when I passed a rental truck that was unloading placards for the “Right to Life” rally today. As I watched for a moment as several men unloaded them and wondered how many of the people who would be later brandishing the signs which read ‘Choose Life’ would be present with them at an execution. If it’s truly about the sanctity of life…but I digress. I usually keep my opinion within my inner circle on this devisive issue, but something in me today can not contain it. How is it that many of the same folks including policymakers who would not support the child once it is born feel so strongly about the same child as a fetus? What about investing in public education, access to quality healthcare, strong afterschool programs, physical and arts education?- I could go on and on. Additionally, we have a healthcare system that charges women more to take care of ourselves: mammograms, gynecological exams and obstetric care, when as a society we still pay women less money to pay for said care. The insurance companies will pay for Viagra but many will not cover various birth control options, especially pills. Go to a pharmacist and some will not fill a prescription for birth control yet have plenty of blue pills on tap. Although my views on abortion have changed somewhat, this basic belief has not. My body is my body PERIOD. I respect people’s opinions but they should not translate into policy. Yes, I have children and I can not imagine my life without them in it. That does not change my belief that the government has no right dictating decisions for my family. PS If men bore children, there would be no room for debate on this issue. 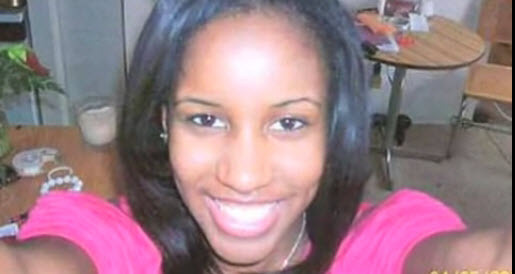 Seventeen year-old, Phylicia Barnes, went missing on December 28th in Baltimore, MD while visiting her half-sister. Anyone with information should call 1-855-223-0033. The North Carolina honor student is set to graduate a year early from high school. The case has just recently begun to garner national media attention which frustrated local police in Maryland and North Carolina who say that it is critical to have that exposure early. Many officers on the case believe that the case did not receive such attention because Barnes is African American. I agree and will adress that in a future post. Right now, please re-post, re-tweet, email, whatever you can do to spread the word. When I think of MLK, so many images come to mind. On Saturday morning, I thought about the indellible mark that he left on not only this country, but the world. I shook my head sadly as I thought of the younger brother of a friend who spits on his memory because of MLK’s personal shortcomings. We all have unfortunate pasts and poor choices but that does not preclude us from greatness. Images that come to mind are varied and numerous. I think of my mother at 16 on my grandfather’s shoulders alongside my great aunt at the “I Have a Dream” speech in ’63. I remember the snow and ice when I march with my mother to lobby for a day to celebrate his great life. My neighbor’s son doing his signature move as we danced to Stevie’s Happy Birthday. I think of so many B&W pictures of him as a young preacher with a powerful voice, leading a movement and so many hearts. I wonder if he knew the impact he was making as a young man. If he knew what his legacy would bring? In some ways, I think he did as is evidenced in Letter From Birmingham Jail. Nobody forsees their death as a result of their work without understanding it’s weight and worth…yet he did it anyway. How many of us would do it anyway? Surely not the young dude I smh about on Saturday. While people are rushing to volunteer/serve on this date, I am hopeful there are far more who live his message everyday. My children and I will be present on August 28th for the unveiling of his memorial on the mall. PS Yes, you can love Martin AND Malcom (pre and post hajj). At a rally about three hours ago, Congresswoman Gabrielle Giffords was shot in the head at close range. Six have died, including a nine-year old girl, and 12 others were injured. Giffords (D-TX) was meeting with her constituents and supporters. One of the deceased was a federal judge, John Roll. Giffords is in critical condition after ungoing surgery. Her recovery is optimistic. The suspect in custody is a 22 year-old, Jared Lee Laughner; the weapon has been recovered. This is terrorism- interestingly, none of the media has characterized it as such. Arizona…really?! Not a place of tolerance… I wonder how long before politics gets injected. Let’s rewind about fifteen years…I was attending a family 50th anniversary event. I was excited to see a cousin with whom I was close growing up. I had not seen her in at least seven years: she joined the Army, I went to college. I approached her babbling, eager to catch up and hugging her. She looked up to acknowledge me and gave a slight smile. This was not Ronnie; it looked like her but not quite her. I don’t remember the brief conversation but the next day begged my mother to contact family members because something was wrong. The rest is foggy. I didn’t see her again for at least a decade. Fast forward to Labor Day 2010. At a family cookout, I spent time with her and recognized her again. There was still something in those eyes but we promised to keep in touch. Later that evening as I said my goodbyes, I overheard her saying that she was opening a home for disabled women vets. My ears perked up and I pulled her aside. I told her that the organization I worked for was having a Summit for women vets in a few months and asked her to attend and participate. She agreed. We met the next week and she shared her story with me. I told my CEO at the time that I had an event speaker who could speak to the reintegration of women veterans. Veronica Harrison served on our panel at Joining Forces for Women Veterans in October 2010. Hear what she and other female veterans had to say. Today, I can’t catch Ronnie because she has so many meetings and appointments to lay the foundation for The Lighthouse, the transitional home that she is establishing for disabled women vets. I am so proud of Veronica Harrison! I love her and thank her for her service to this country. You know a vet, you should do the same. Thank a veteran for his or her service today and always. Learn more about supporting women veterans at http://www.womenjoiningforces.org.